The Van Allen community is nestled in a large wooded area off Route 43 in North Greenbush. Designers took great pains to maintain the tranquility of the setting while offering residents opportunities to enjoy the abundant green space.  Whether it is a tranquil walk along the miles of sidewalk or an early morning workout, Van Allen will suit your needs. Minutes from downtown Albany or the flourishing arts scene in Troy, the area includes an array of attractive public spaces and parks, restaurants and a vibrant music scene. Popular area attractions include the New York State Museum and Capitol, the Palace Theater, the USS Slater, and the Troy Waterfront Farmer's Market. A short drive to the north from Van Allen brings you to the resort town of Saratoga Springs with its world famous racecourse. Travel a little farther north and you find yourself in the Adirondack Park: 6 million acres of forest preserve that offers over 2,000 hiking trails, four Alpine ski resorts, over 3,000 lakes and ponds and 30,000 miles of rivers and streams. An outdoor lovers paradise. I-90 Exit 8, left onto Washington Avenue.